A Toronto security guard who has worked in the field for more than two decades is speaking out against the wait times he's experienced recently calling 911, saying he now expects to be put on hold no matter what emergency he's facing. A Toronto security guard who has worked in the industry for more than two decades is speaking out against wait times he's experienced calling 911 recently, saying it's the worst he's ever experienced in his career. Wayne Ellison said he now expects to be put on hold with a recorded message every time he calls for an emergency on the job. "I'll call 911, I'll hear a recorded messsage, and it's been up to minute I've had to wait — like a full 60 seconds — and then the phone rings to put me through to police fire or ambulance," Ellison told CBC Toronto. Ellison — who doesn't want his face shown because he works as a plainclothes security guard in Toronto — estimates he calls 911 a few times a month for various incidents, including thefts, fires or medical emergencies. Toronto Police Services said there's been a "significant" increase in the demand for 911 over the past year. After CBC Toronto published Ellison's concerns, Toronto police looked into what had happened to him. The force said this January he was put on hold for just over a minute (1:11, to be exact), while on previous calls he was kept on hold for less than 30 seconds. In some cases, a police spokesperson said in an email, Ellison was on hold for as short a period as eight seconds. Ellison said at times he has also used other phones to contact 911. Police say they're now in the midst of an "aggressive" hiring phase that began last year when the Toronto Police Services Board approved the hiring of more communications operators. Meanwhile, Ellison said he believes the longer wait times he's experienced are putting people are at risk, and he worries about those who may be in a life-or-death scenario. "If I was in a real life threatening situation or if one of my family members had to call, those 60 seconds might be the time that they really need someone to speak to. They might not be able to speak after those 60 seconds are up," said Ellison. "It's never been this bad. I've never had to experience this." Ellison said there have been times where an alleged suspect has gotten away — simply because of wait times. He told CBC News about an incident last month where he tried to help a gas station attendant hold down an alleged thief. The attendant and another person called 911, and Ellison said both received the automated recording to stay on the line. "Another person was walking by in the neighbourhood and got involved, and interfered with the arrest, and the suspect ended up getting away." said Ellison. "All the while we're sitting on hold." 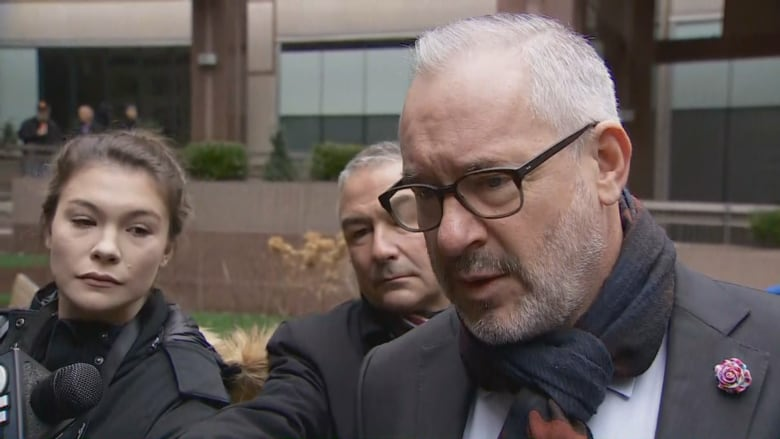 Toronto Police Association president Mike McCormack said the problem is not new, and he frequently hears stories like Ellison's. "I get calls every day from members, from members of the public," said McCormack. "They're outraged by the wait times and being put on hold and the lack of response time on 911." Last year, the Toronto Police Services board approved the hiring of 50 more communications operators, bringing the total up to 281. The problem is, it takes time to train them, and they're also required to pass a course before they're operational. In the meantime, McCormack said other staff are burning out. "The shifts, the wear and tear, the understaffing is creating a circular event where the understaffing creates pressures," said McCormack. Toronto Police Services told CBC News it's "deeply concerned" about wait times but said it's already in the midst of making changes to address the problem. "We've always said from the beginning that the challenge in trying to reduce wait times for 911 is it will take time,' said Deputy Chief Shawna Coxon, who leads Toronto's Police Services' Priority Response Command. "What we've done is aggressively hire in the past year and a quarter." Coxon said she expects to have all 281 communications operators trained and operational by the middle of this year. But the other issue, according to Coxon, is call volume. "The demand for 911 has gone up in a very significant way in the last year and it's like nothing we've seen in last 10 years," said Coxon, who estimates they received nearly 100,000 more calls in 2018 than they did in 2017. 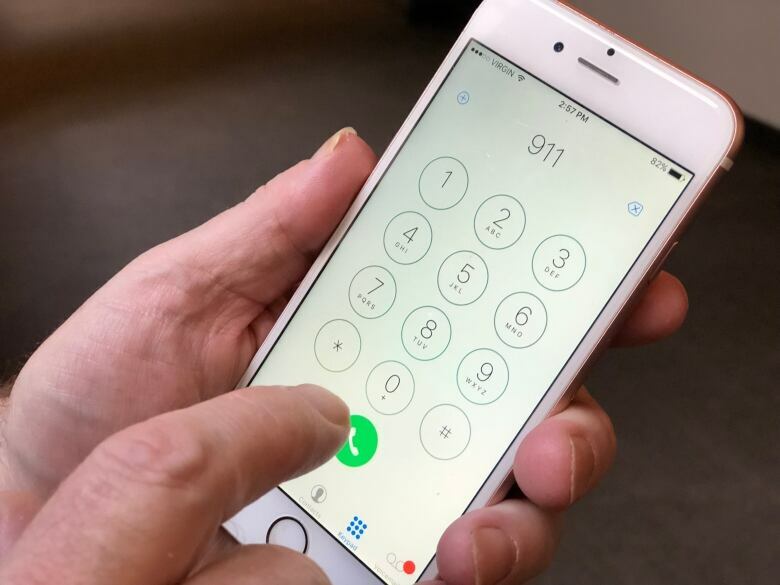 Coxon said the city's growth is partly to blame for the increase in calls, but the other problem is that people continue to call 911 for the wrong reason. "We are deeply concerned about wait times," said Coxon. "All of the work that we've done in the last year and a bit is to fix this issue. It is a long-term fix because of how long it takes to hire and train, but we're getting there."